Short version of the story, helped gf buy a vehicle and it turns out the transmission control module was faulty, upon further inspection there is another wiring harness (passenger side) which is corroded to the point where the contacts are broken off..
My idea was to clean the connectors cut strip and reconnect the wires after fixing the leak. What are my options now for this electrical wiring harness connector that has the contacts corroded completely off? I'll post pictures momentarily, any help is very much appreciated as I'm not very experienced with electrical problems. Buy a new harness, solder/shrink tube connections. Hopefully there's a local car you can salvage it from in a pick-n-pull. If not you might try the marketplace here for vehicles being parted out. Are you suggesting just to cut these connectors out and solder each connection then shrink tube all of the cuts? Leave the original wiring harness inside? That looks like the M72 to F102 main SMJ connector, not the TCM one. Basically it connects the engine harness to the main harness. You will definitely need to hack one out of a donor vehicle, that's not something you want to buy new. No I'm suggesting to get another Super Multiple Junction and splice it in. I suppose if one wasn't available then a bunch of generic harnesses would work. Be sure to identify every wire so you aren't crossing anything. You could also go hack the SMJ out of any other donor vehicle that has the same number of wires. Just be sure you solder and shrink tube EVERY SINGLE SPLICE POINT, otherwise you will be constantly battling with electrical issues. Separately, you need to fix the water leak that corroded the existing component. Thank you very much cleric! If anyone else has any advice I'd appreciate any help. Sorry that came across wrong cleric, I didn't mean I don't want anymore of your help, I just don't want to end the conversation/incoming advice. I would draw up a detailed spreadsheet of all the wires according to the pin number for the harness so nothing accidentally gets crossed. It'll look something like this. Use the proper wire color abbreviations so it's all consistent. 1 column for the wire number, 2 column for the wire at the F102 end, 3 column for the wire color at the M72 end. Sometimes it's not the same colored wire from F102 to M72, not really a big deal because electricity doesn't care what the color of the insulation is. Here's a snippet of the Nissan color abbreviations. Here is a snippet of the SMJ. If you don't think that's the correct harness then I can look around to see which one it is, sort of hard to tell from the photo you took so I'm just making a guess. Even if you have to chop out the SMJ and replace it with a donor it's really not that hard. -Cut a little bit of shrink tube and slide it over one end of the wire. -Drag the tiny solder rod across the wire (opposite of the soldering iron) and watch the solder flow between them, when it looks shiny and "full" remove the iron. Even someone with limited mechanical/electrical ability could perform this repair but it's going to be VERY time consuming. 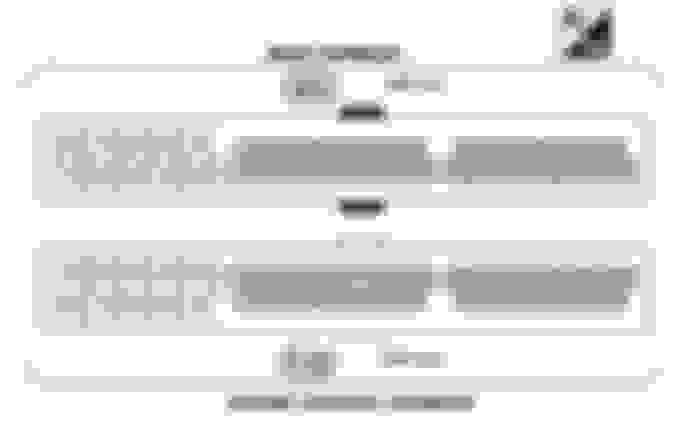 Make an excellent diagram/spreadsheet of existing components before cutting the old one out. I strongly recommend removing the seat from the vehicle so you have more room to work. The trick to these kinds of jobs is to make things as ergonomic as possible. Fold up an old blanket and use it to pad yourself from everything, set up a fan so you aren't inhaling fumes from the thermoplastic because you're going to smoke it a tiny bit every once in a while. Get some good LED lighting in there so you don't have a halogen casting a lot of infrared heat on you. It will probably take 4-5 hours to complete the project. That's incredibly helpful and thorough advice. I couldn't hope for better when I initially decided to post. Thank you cleric, is there a way to up vote or something similar on this forum as a small token of gratitude? I will need both connectors then from this clip, not just the wiring harness right? What could I provide to you more in detail so you could identify the other side of the white connector? One side of the connector is M72, the other side is F102, both are in that picture I linked, if your harness is that exact same layout then that's the one you need. A wrecking yard will probably have no clue what you're talking about if you just call around looking for an SMJ though, fortunately there's a REALLY good chance that any donor vehicle you find will have one intact. I would start by checking local pick-n-pulls to see if there are any G35 in the yard, I think that same SMJ was used in all models from 2003-2007 coupe and 2003-2006 sedan. If there aren't any then look for any newer G35 on the V36 chassis (2007-2008) and if not then any Infiniti Q50/Q60. If those aren't available then widen the search to ANY Nissan or Infiniti models around that year. 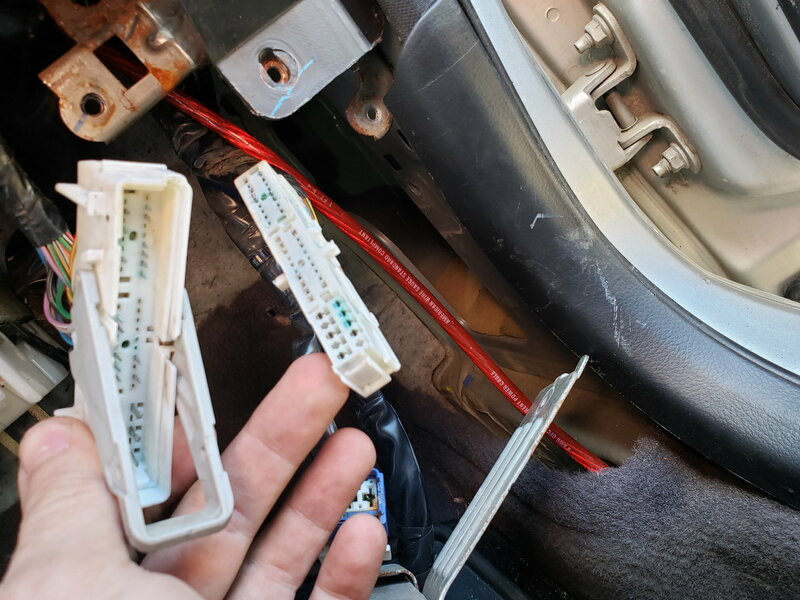 On the driver side is a different style of SMJ with fewer wires, you might end up cutting a couple different SMJ's off of different vehicles and using 2 or 3 of them to get the total wire count high enough, there's 46 total wires in the one you have if it is the SMJ I linked. If you go that route just make sure to leave plenty of wires on both sides of the ones you pull from a donor vehicle. Yes you will probably have to replace BOTH halves of your existing SMJ, that much corrosion inside those pins will cause nothing but problems in the future so I'd get rid of the entire thing. cleric is the man for sure. You can hit the "like" button, formerly known as "thanks", on the bottom of anyone's posts to show your gratitude.